Does the generation gap extend to household spending habits, too? Check out these moms' #CashConfessions. The Filipino mom is a common fixture at the supermarket, but changing times have altered her shopping habits. 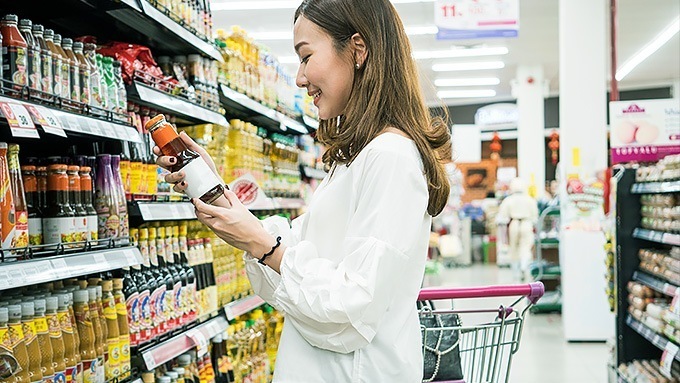 Compared to the Baby Boomer mama you likely grew up with, mothers of today—mostly Generation X and Millennials—do grocery shopping quite differently. Generation X bridges the divide between the old guard and the digital generation. Growing up in during the Cold War and the pre- and post-EDSA eras, they are both radical and conservative, driven both by nostalgia for a rosy past and a desire for change. Millennials, on the other hand, are digital natives and pride themselves on being more "woke" than their predecessors. 24/7 access to the internet gives them more knowledge at their fingertips than any generation before them. When it comes to their kids, however, both Gen X and Millennial moms agree that a well-fed child is a happy child. They simply go about it in different ways, as this informal survey says. Moms from the two different generations shared their grocery lists with us. Do theirs look just like yours? Millennial mommies tend to be constrained by the same budget. Or worse, by the scheduling of their paychecks. Here, an app like Cashalo comes in handy, especially for those who don't have credit cards. Think of it as a micro-loan, or salary loan, on the easy. All you need is proof of employment, a valid ID, a smartphone, and a bank account. This allows you to borrow up to P10,000 within 24 hours—helpful for when the bills and grocery schedule come up on the same weekend. In the end, however, the differences are mostly cosmetic. Both Gen X and Millennial mommies are balancing the same budgets and buying practically the same things. But they both face the same challenges of stretching those weekly budgets to feed their growing families. With Cashalo's quick and easy loan applications, you can have the option of stretching the budget just a little bit more on weeks when it won't quite fit. And with its flexible terms (from 15 days to six months to pay), you don't have to be hit with a whopper of a bill. Cashalo offers a low interest rate of just 3.95% per month. Let Cashalo help you keep a happy and healthy home even on a tight budget. Download the app here.